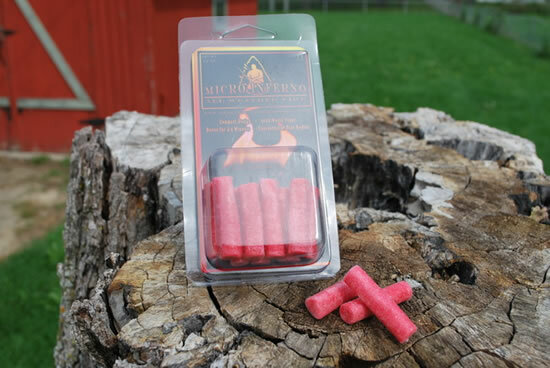 The new Micro Inferno gives yet another option for carrying rock solid and dependable fire starting tinder. Each of these tinder tabs will burn for about 4-5 minutes which is plenty of time to set your kindling ablaze. Small enough to carry just about anywhere. From someone who actually does go out in the woods practicing skills, I will tell you that I do not go out without a proven method and means of making a fire. Never am I out there without real tinder I know I can count on. I may opt not to use commercial tinder but that's only because I like to use natural material whenever I can. It helps to learn what works and improves my outdoor skills. But for ease of getting a blaze going and for an additional backup, I will carry what I know works in all weather conditions. This fire starting tinder along with the disk version of it, are bomb proof. 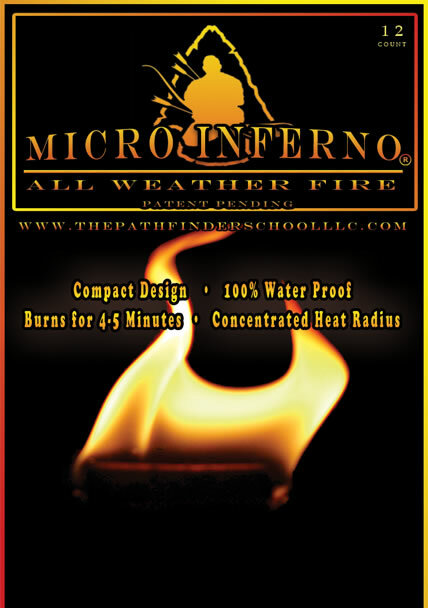 The Micro Inferno is my go-to choice for carrying with me when I am packing up for a weekend advernture or inside my home emergency kit. Entire Package Will Burn Up To 60 Minutes!